Viknesh Vijayenthiran March 27, 2019 Comment Now! 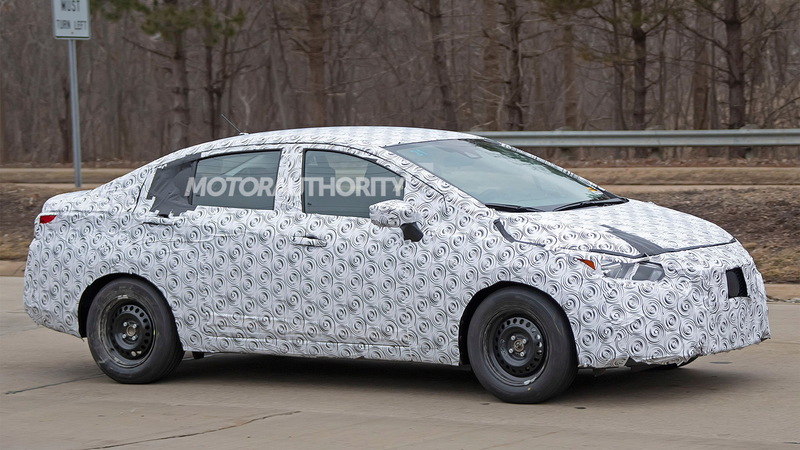 The subcompact sedan was last redesigned for 2012 and is certainly showing its age against newer rivals like the Hyundai Accent and Toyota Yaris. 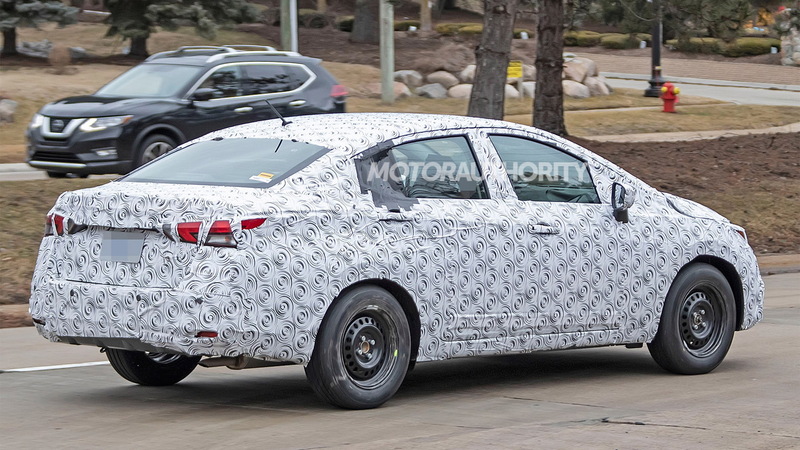 This new model is expected late in 2019 as a 2020 model. 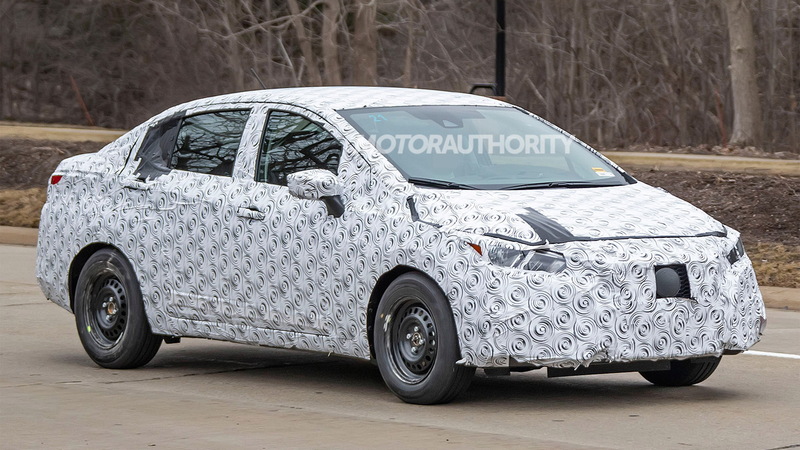 Judging by the prototype, the redesigned Versa will feature a sharp new look influenced by the design of the latest Altima. We can also see that the designers have moved the side mirror caps to the doors instead of at the base of the A-pillars. It isn't clear what Nissan has planned for the mechanicals but hopefully we see a little more power on offer. The current Versa's 1.6-liter inline-4 delivers an underwhelming 109 horsepower and 107 pound-feet of torque. 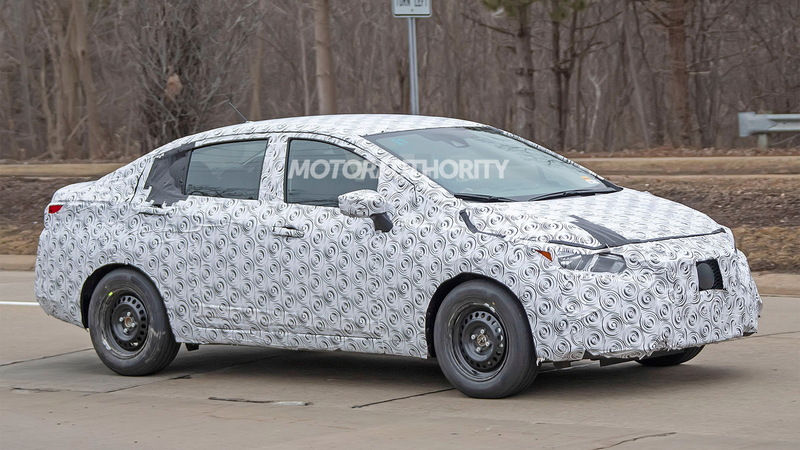 With any luck we'll see the 1.6-liter engine from Nissan's Kicks added. The mill is rated at 125 hp and 115 lb-ft. Drive should be to the front wheels only. 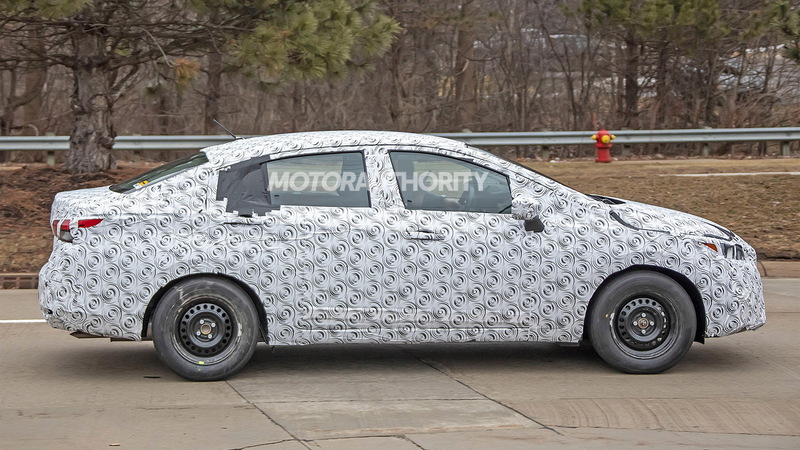 Although we could see a slight price increase for the redesigned Versa from the current model's $13,255 base sticker, the car is expected to carry on the title of cheapest new set of wheels in America.